A nice furnished apartment in southern Sweden. Many nice details and beautiful furniture that contrasts well with the dark kitchen. It doesn’t matter what season or time of year it is, carpets are always current & necessary – to me at least. It does not feel as if a room is completely furnished without rugs, partly for comfort as well function. It’s also a good way to add colour if you like, as well as to dampen noise among other things. A bright fresh & very inviting & inspiring room that is furnished in different white tones. Can’t help but fall in love. 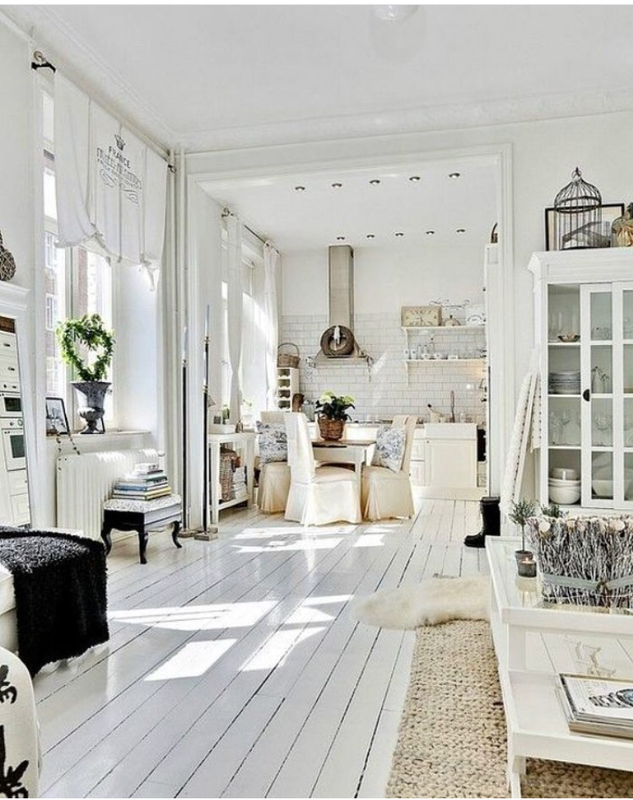 A charming house from 1862 in Copenhagen, Denmark, furnished with taste & love for the simple & beautiful with an obvious interest for aesthetics, art & design. But I remember all the discussions about how it would be furnished & where the stuff would go, to suit the whimsical impulses. An adorable time!